With winter right around the corner, it’s time to start thinking about how to prepare your home for the cold weather. To make sure your home is protected, comfortable, and prepared for the harsh elements on winter, consider the following advice. 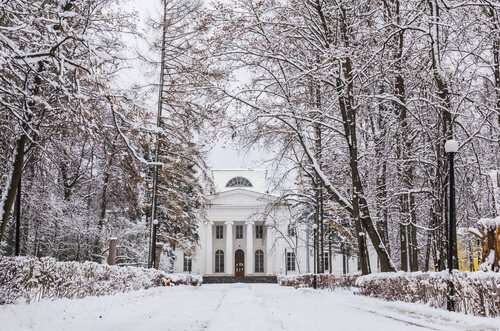 In addition, now is a great time to ensure your Ypsilanti High-Value Homeowners Insurance is up to date to protect against any potential damages and issues you could face during the winter. Turn off outside hoses and faucets. Any water left in the hoses can freeze and can cause the pipe to burst from the expanding water. According to Sandy Spring Builders, start by disconnecting all garden hoses and draining the water that remains in the hose bibs. If you don’t have frost-proof faucets (homes more than 10 – 15 years old typically do not), turn off the shut-off valve inside your home. Ensure your heater, furnace, heat pumps, etc. are functioning properly. Replace filters as needed and keep up with regularly scheduled maintenance visits, as well. Remove any debris and foliage that has built-up over the fall to prevent blockage. This is especially important during the winter to ensure the rain and snowfall is properly drained and expelled away from your property and your home’s foundation. Further, clogged gutters can lead to freezing and/or bursting pipes and leaks, which can cause even more damage. Especially if you have high ceilings and a large house, insulation is critical for keeping the home comfortable year-round. This will help to prevent loss of heat and retain warmth throughout the whole home.